Dave Koch has spent his lifetime across the photographic world. From his initial work in Hollywood as a camera assistant in the film world, Dave went on to work in television where his work earned dozens of awards including a Golden Mic and an Emmy nomination. 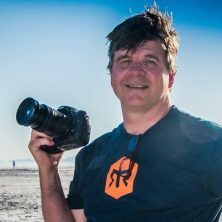 Now working on his own, Dave Koch was recognized as the Best of State nature photographer in Utah in 2017.
but my shots show the results of my Photoflex gear.